Pioneers in the industry, we offer industrial fuel conversion from India. 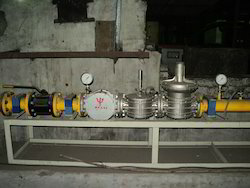 We bring forth a wide range of Industrial Fuel Conversion for our prestigious clients. The offered furnace is manufactured in advanced manufacturing unit using high grade raw material that is stringently tested by our skilled and experienced quality experts before using it. In order to meet various requirements of clients, we offer the entire range in various specifications. Further, we offer this furnace to our precious clients at very reasonable prices.